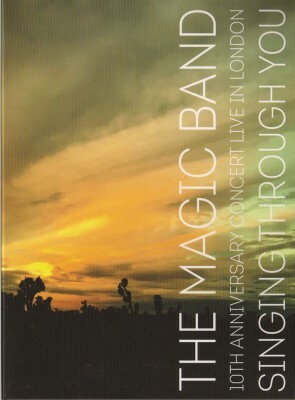 Just when you’re waiting for a Magic Band DVD two turn up at the same time. If you saw the earlier posts you’ll know that John French set up two Indiegogo crowd-funding projects a few months back to finance the release of these two DVDs – Magnetic Draw and Singing Through You. Singing Through You documents the band’s 10th anniversary gig at Under the Bridge, London in March 2013 plus it includes an interview John did at Rough Trade Records to promote his book about Beefheart. 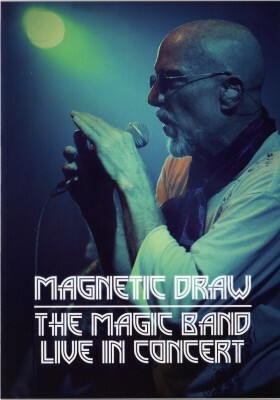 Magnetic Draw catches them a year later at The Engine Shed, Lincoln in May 2014 and has a second disc of interviews with all the members of the band. These DVDs cannot be bought at ordinary outlets. You have to buy them via the Indiegogo site which ensures the band get the money from the sales. So support the band and treat yourself to a copy of each. Bought both DVDs (free shipping to UK, BTW). Worth every penny. I mean the greatest music ever, played by the best band in the world. No brainer. “Singing…” DVD is visually better but both DVDs are great overall and have much better sound than the live disc that came with “Crow’s Milk” IMO. Just wish that Denny’s guitar came through a bit louder on these discs but I imagine it is difficult to get a perfect balance of the instruments live.